Built in 2012, Citi Serviced Apartments & Motel – Lagatoi Place, Boroko is one of the top rated hotel/accommodation in Port Moresby. 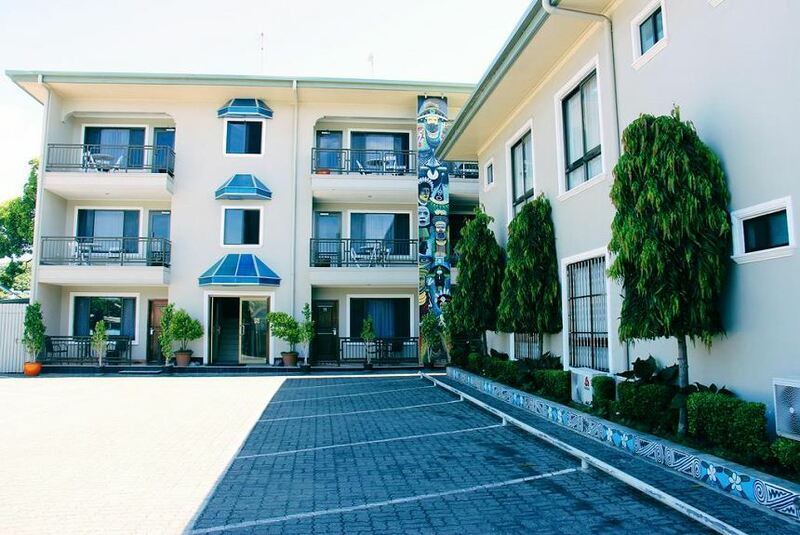 The buildings are in modern design with traditional PNG arts and paintings that make the property outstanding and attractive to all of its patrons. The property is situated in safe and quiet surroundings. It is very near to the popular schools in the country such as Caritas Technical Secondary School, POM Grammar School and Port Moresby International School. The property is stone’s throw away from the Bava Park Stadium and meters away from the National Football Stadium. It is just 15 minutes’ drive away from the Jackson’s Airport (Domestic and International). The property has a car parking area and on-site restaurant that offers a variety of menu. Complimentary WiFi and Airport Transfers are being offered. Other hotel services such as laundry and pressing service, car hire, secretarial or office assistance and room service are being offered too.